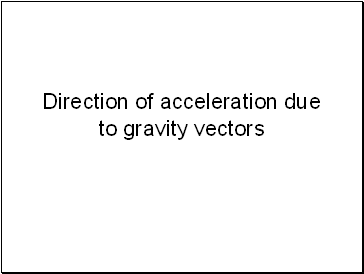 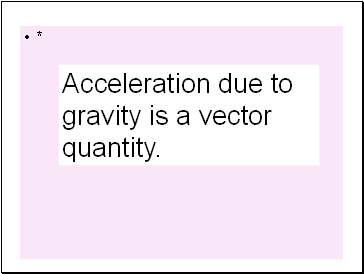 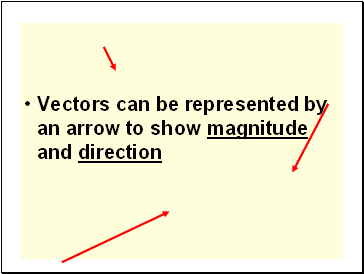 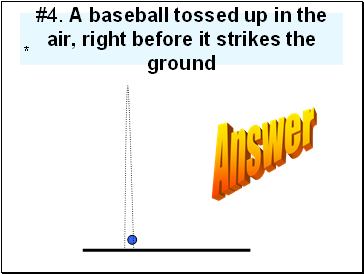 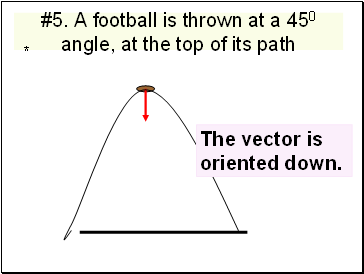 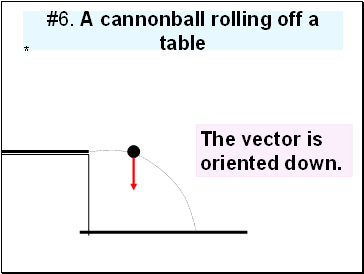 Acceleration due to gravity is a vector quantity. 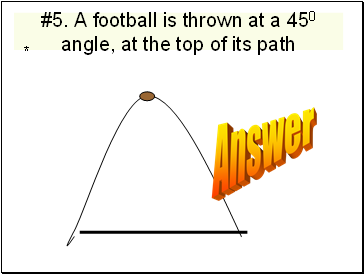 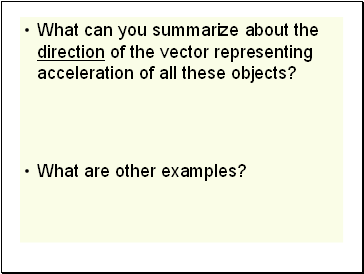 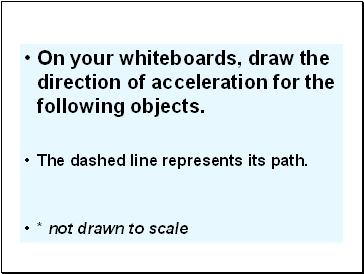 On your whiteboards, draw the direction of acceleration for the following objects. 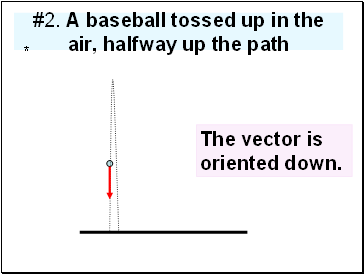 The dashed line represents its path. 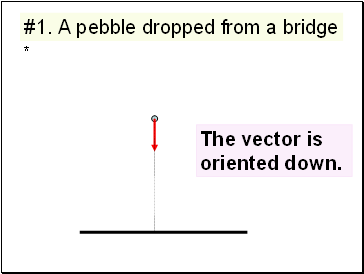 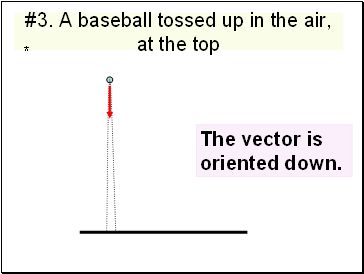 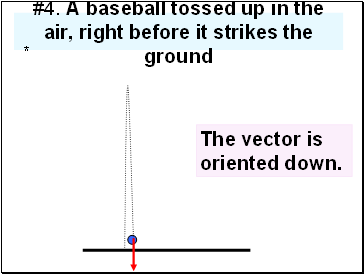 The vector is oriented down.